Apoptosis is a mechanism to remove unwanted cells in the tissue. In diabetic wound, which is characterized by delayed healing process, excessive apoptosis is documented and plays a crucial role. Matrix metalloproteinase 9 (MMP9), which is elevated in non-healed diabetic wound, is necessary for healing process but its abnormality resulted in a delayed healing. The classical function of MMP9 is the degradation of extracellular matrix (ECM). 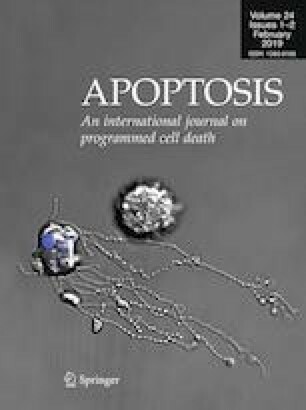 However, there is some literature evidence that MMP9 triggers cell apoptosis. Whether the excessive MMP9 contributes to epidermis cell apoptosis in delayed healing diabetic wound and the underlying mechanisms is not clear. In this study, we aimed to explore whether MMP9 induced keratinocyte apoptosis and investigate the plausible mechanisms. Our in vitro study showed that advanced glycation end products (AGEs) induced keratinocyte apoptosis and enhanced MMP9 level. Besides, MMP9, both intra-cellular expressions and extra-cellular supplement, promoted cell apoptosis. Further, MMP9 resulted in an increased expression of FasL, other than Fas and p53. These findings identified a novel effect that MMP9 exerted in delayed diabetic wound healing, owing to a pro-apoptotic effect on keratinocyte, which was mediated by an increase of FasL expression. This study increases understanding of elevated MMP9 which is involved in diabetic wound repair and offers some insights into novel future therapies. Ying Liang and Chuan Yang have contributed equally to this work and should be regarded as co-first authors. Meng Ren and Li Yan have contributed equally to this work and should be regarded as co-corresponding authors. The online version of this article ( https://doi.org/10.1007/s10495-019-01536-w) contains supplementary material, which is available to authorized users. This study was funded by the National Natural Science Foundation of China (81770827, 81471034).